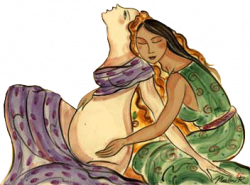 A Doula is a non-medical birth assistant with experience in pregnancy, labor, and childbirth who offers continuous physical and emotional support as well as, informational guidance throughout pregnancy, childbirth and early postpartum. 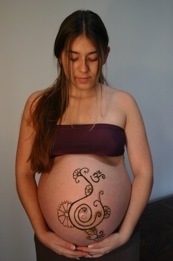 Understands the physiology of pregnancy, labor, and birth, and understands the emotional needs of a woman in labor. Assists the mother in preparing for and carrying out her plans for birth. Maintains continuous, focused attention on the mother and stays with the her throughout her entire labor and birth. Creates a safe, nurturing environment for a laboring woman to allow her body to tell her what may be best as she goes through the stages of childbirth. Initial consultation is FREE. This is an opportunity to get to know each other, ask questions, and discuss your anticipated birth needs and desires. There is no obligation and you’ll be able to determine if I am the doula you would like at your birth. Two prenatal visits (up to two hours each). On our First Visit: We will discuss and practice ways to prepare your mind + body for childbirth, explore your birth options, comfort measures and practice movements for pregnancy labor & birth. On our Second Visit: We will design a postpartum plan and address any concerns you may have. Along with a “Get Ready to Breastfeed” information session. Phone/email availability throughout your pregnancy so you can ask any questions that may come up. Continuous support for you and your partner during labor and birth. One postpartum visit (usually within the first week), where we can discuss breastfeeding, process the birth experience, and address any questions you may have. I will provide assistance (and referrals if needed) with breastfeeding and postpartum healing. Access to doula’s extensive Lending Library of DVDs and Books. Discounted prices for any additional service I offer. $400 as a non-refundable retainer fee, due on first prenatal visit when you hire me as your doula. $400 due on second prenatal visit. I believe every woman deserves a Doula so if you are not able to afford my fee please contact me to discuss special arrangements. If you hire me as your Doula and wish to add ONE of these additional services, you will receive a 15% discount. If you wish to add THREE or more additional services, you’ll receive a 20% discount off total. Bengkung Belly Binding: 15% off (Regular price $60.00-$285.00) *discount does not apply to wrap, only to service.